The pomegranate (Punica granatum L.) fruit harbors remarkable health-beneficial properties. 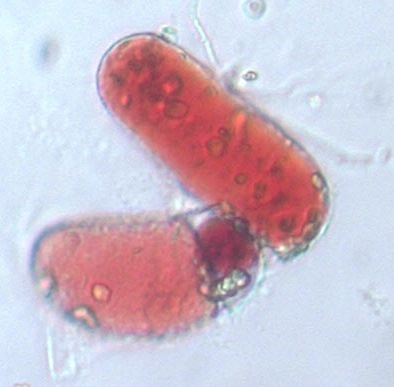 Most of its healthy secondary metabolites are located in their peels. Therefore, pomegranate peels (PPs) can be used to produce high-value healthy compounds. PP cell cultures may also be an attractive alternative source since it can be established throughout the year regardless of seasonal effects. The aim of this study was to establish a novel PP cell culture for future research and biotechnological applications. We first established procedures to sterilize and control oxidative browning of the peel explants. 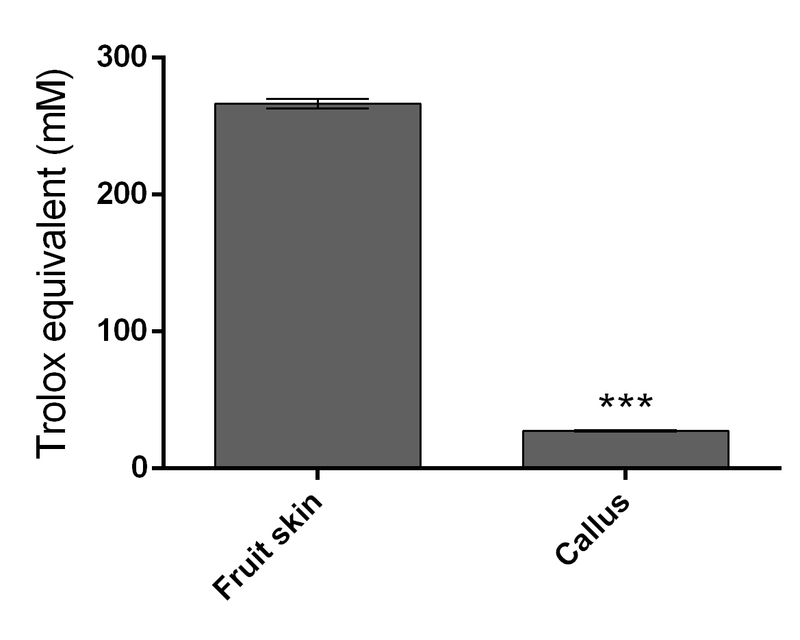 We found that surface sterilizing with 3% sodium hypochlorite for 15 min, frequent sub-culturing of the explants on media containing polyvinylpyrrolidone plus silver nitrate was the optimal treatment for oxidative browning control and callus initiation. We also found that 6-benzylaminopurine (BAP) induced callus initiation, whereas 3-indoleacetic acid (IAA) repressed it. The callus daily growth rate was maintained at 1% regardless of the various growth media examined. 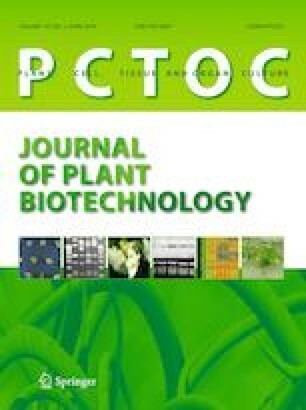 Moreover, our results show that although there was a minor effect of the growth media on polyphenol accumulation and antioxidant activity, the exposure to light and high sucrose levels led to higher levels (up to 205 times than the control) of secondary metabolites such as anthocyanins, ellagic acid, punicalagin and gallic acid. In summary, this work laid the foundations for further research that will be needed to study and commercialize PP cell cultures. In this present study, we addresses the establishment of pomegranate peel cell cultures for future research and biotechnological applications, such as production of health-beneficial secondary metabolites. Communicated by Wagner Campos Otoni. The online version of this article ( https://doi.org/10.1007/s11240-019-01609-3) contains supplementary material, which is available to authorized users. The authors wish to thank the Israel Ministry of Economics for funding under the Kamin Fund (No. 53856) and BARD (US-Israel Binational Agricultural Research and Development Fund 364) for funding under Project No. IS-4822-15 R.
L.R. was the head of this project and was the main writer of this manuscript. B.S., R.H. and P.C. were the lab technicians which carried out most of the tissue culture work. R.A. is the PI and contributed to the planning of the experiments and data analysis.